If you have saved money in a traditional individual retirement account, the Internal Revenue Service wants to know when you take the money out because of the tax implications. 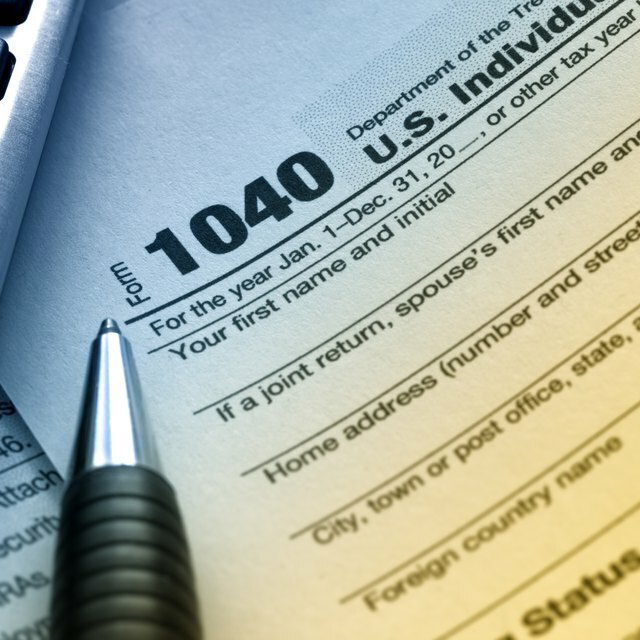 If you have distributions, you must use Form 1040 or Form 1040A to file your tax return. To take a qualified distribution from your traditional IRA you must be at least 59 1/2 years old. Although the IRS does not prohibit earlier distributions, it charges a 10 percent penalty tax on the taxable amount of the distribution. For example, if you take out $6,100 from your traditional IRA when you are 38, you owe an extra $610 on your taxes. Only in special circumstances, such as a permanent disability, college expenses, or buying your first home, can you avoid the penalty. The tax-deferred status of traditional IRAs means that deductible contributions and earnings count as taxable income when you take withdrawals. Unless you made nondeductible contributions to your traditional IRA, which are contributions you intentionally did not claim a deduction for, this means your entire distribution counts as taxable income. If you did make nondeductible contributions, the percentage of nondeductible contributions in your account equals the percentage of your distribution that comes out tax free. When you take money out of your traditional IRA, the distribution may bump you into a higher income tax bracket. This becomes more likely when you take larger distributions. If you are pushed into a higher income tax bracket, only the portion of your distribution that falls in the higher income tax bracket is taxed at the higher rate. For example, assume before accounting for your traditional IRA withdrawal, you are in the 26 percent tax bracket and $7,000 below the 29 percent tax bracket. If you take a $15,000 traditional IRA withdrawal, $7,000 of that distribution is taxed at 26 percent and the remaining $8,000 is taxed at the 29 percent rate. When you remove money from your traditional IRA, you lose the tax-sheltered growth the account offers. When the money is in an IRA, you do not pay any income taxes each year on the returns you receive from the account. After you withdraw it, any future gains count as taxable income in the year you earn them. For example, if you take a withdrawal from your traditional IRA, and the next year that money earns you $1,000 in interest, you have to pay taxes that year on the $1,000.